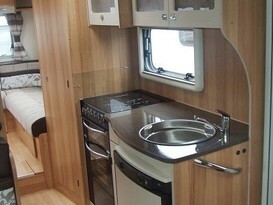 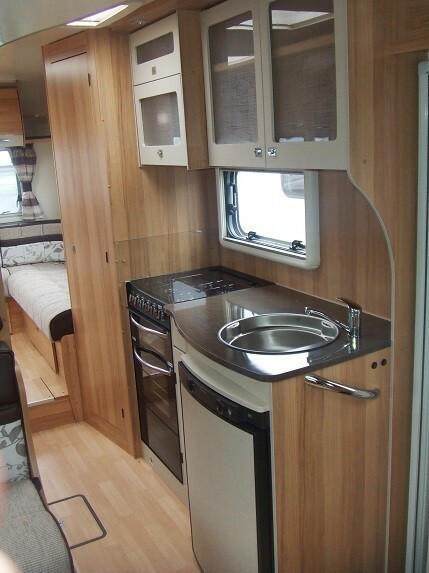 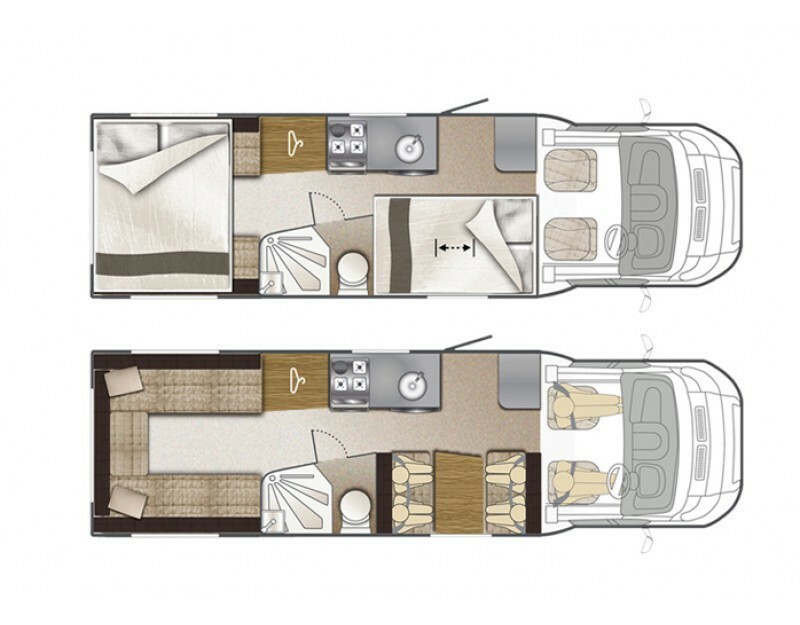 This Low Profile 6 berth Bailey Autograph 765 provides 6 travelling seats as well as 6 sleeping berths. 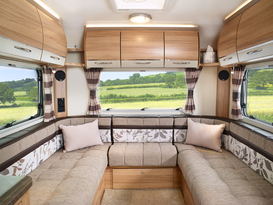 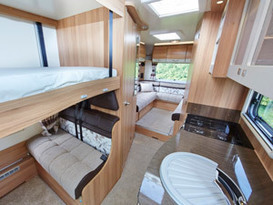 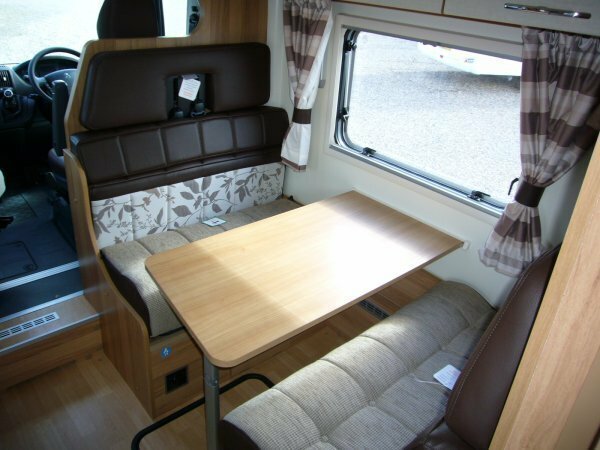 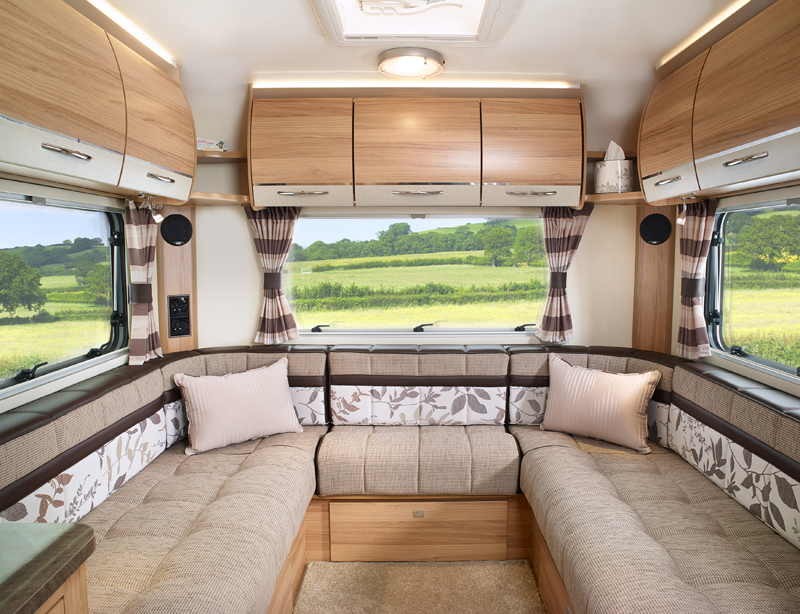 The front of the motorhome has a dinette area during the day which converts to a double bed at night and above this is an electrically controlled double bed which drops down from the ceiling at night. 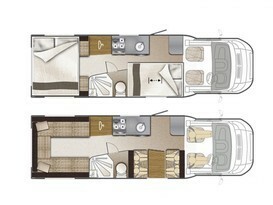 To the rear of the Motorhome is a spacious U-Shaped lounge which converts into a king size bed at night. 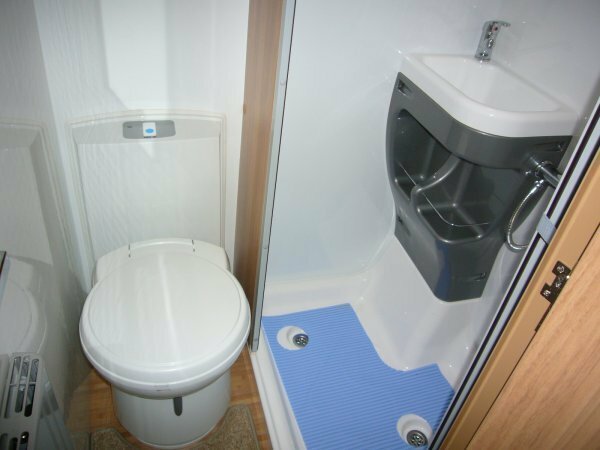 The motorhome also boasts a separate toilet and shower as well as full cooking facilities including a microwave and fridge with freezer compartment. The low profile cab helps return excellent mpg and makes this family motorhome a pleasure to drive. 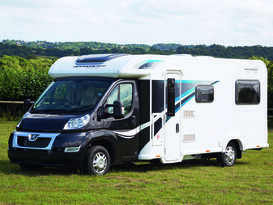 License requirement, this motorhome requires you hold a C1 license entitlement or equivalent. Only persons named on the insurance policy at time of hire may drive the vehicle. 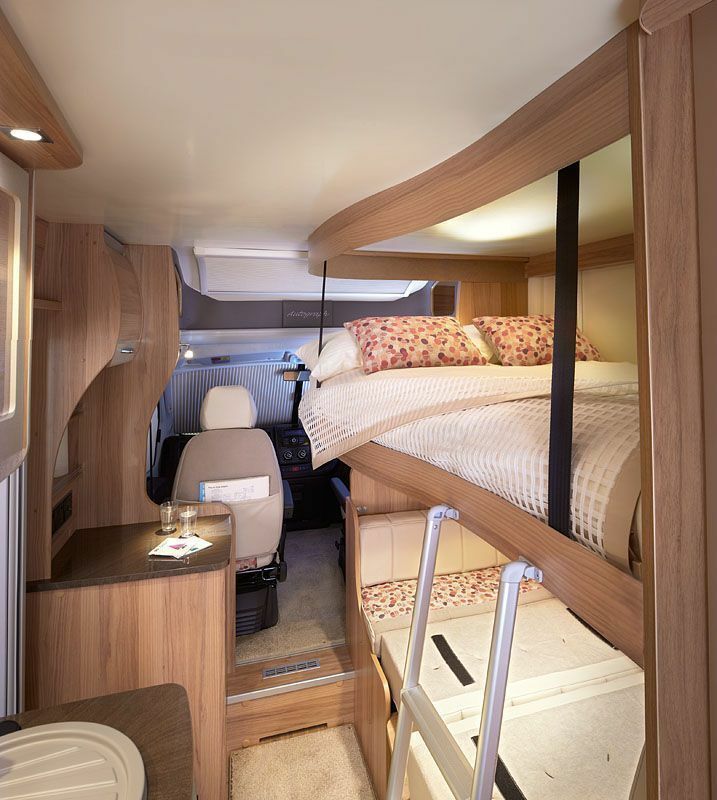 Drivers must be over the age of 25 and under 75 and must have held a valid licence for at least 12 months. 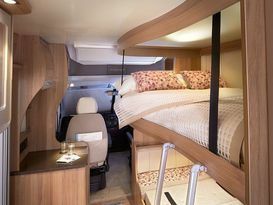 Age groups outside this bracket may be insured with an additional premium and this will be down to our insurer’s discretion.